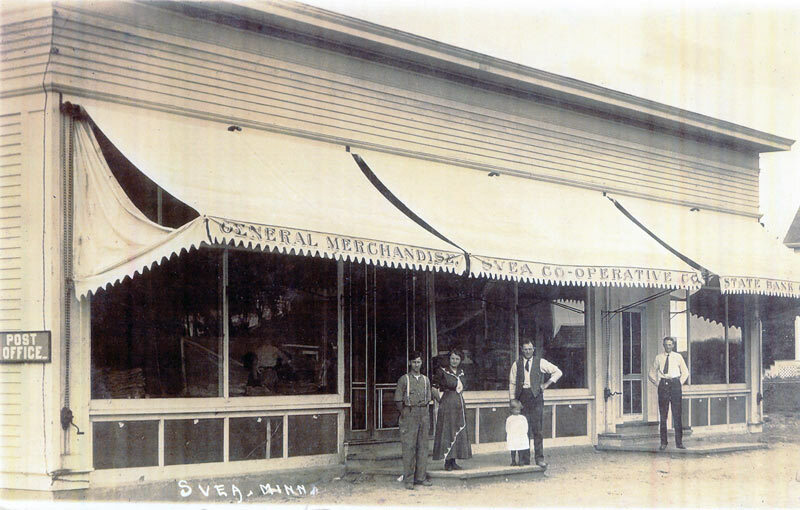 Concorde Bank dates back to 1910, beginning in the community of Svea. James Matson and Ed Selvig were the bank's founders and the bank's first officers, with James serving as the managing officer. In 1923, the bank moved to Blomkest to be closer to the railroad. In 1935, after graduating from Willmar High School, James son Eldon joined the bank as a cashier. "Eldy" became president of the bank in 1953. Eldy's 64 years of banking were interrupted from 1942 to 1946, when he served with United States Army during World War II. Eldy's wife, Carol, joined the bank in 1941. In 1984, the current bank building was built across the street from its previous location. At that time, Eldy and Carol's son-in-law, Larry Knutson, was named president of the bank, and their son, Warren, was named vice president. Larry's banking career started in 1972 at the Citizens State Bank of Olivia, while Warren's career started in 1972 in Blomkest. In February of 2004, with another office to soon be established, the bank formerly known as the State Bank of Blomkest was named Concorde Bank. In May of 2004, Concorde Bank opened up a second office in Willmar. With a second location, the bank could better serve their current and future customers. Today, Concorde Bank is proud to be serving customers in Blomkest, Willmar, and other surrounding communities. Concorde Bank is committed to providing quality financial services to our present and future customers. It is our mission to maintain a sound institution of high integrity, with friendly professional staff, that is responsive to the changing needs of the community. Copyright 2019 Concorde Bank. All rights reserved. Website Design by E*Tap Marketing.